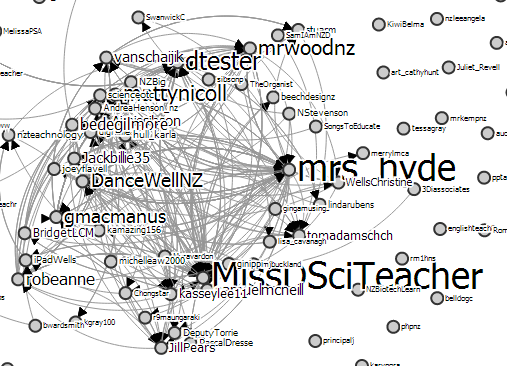 The Hallowe’en edition of edchatnz was frantic and energising as tweetchats usually are. This is only my second edchatnz as I am often out on a Thursday but I managed to catch the first part of this one. The topic was BYOD and as you can imagine there was plenty to talk about. Some teachers are just starting out with BYOD in their schools, some are old hands and some are somewhere in between. Lots of questions, lots of advice. Do you specify devices or allow anything? Do you shut the network down or do you open it up? What do you do about user agreements, security, equality of access? How do you prepare teachers and students and parents? What role does the tech support play? Do you work in the cloud or store on servers? Android, Apple, Microsoft, Open Source, Chromebooks, netbooks, laptops, smartphones, tablets? Opportunities for learning, sharing, failing, succeeding, self-direction, motivation, differentiation, time-management, distractions, off-task, on-task, classroom management….. So many issues but the great thing was the collegiality of the chat, the solutions that were offered, the fact that we are modelling a community of practice, just in time PD. The information gleaned was relevant, useful, authentic, in the moment. The overwhelming theme that came through for me was the emphasis and focus on LEARNING. 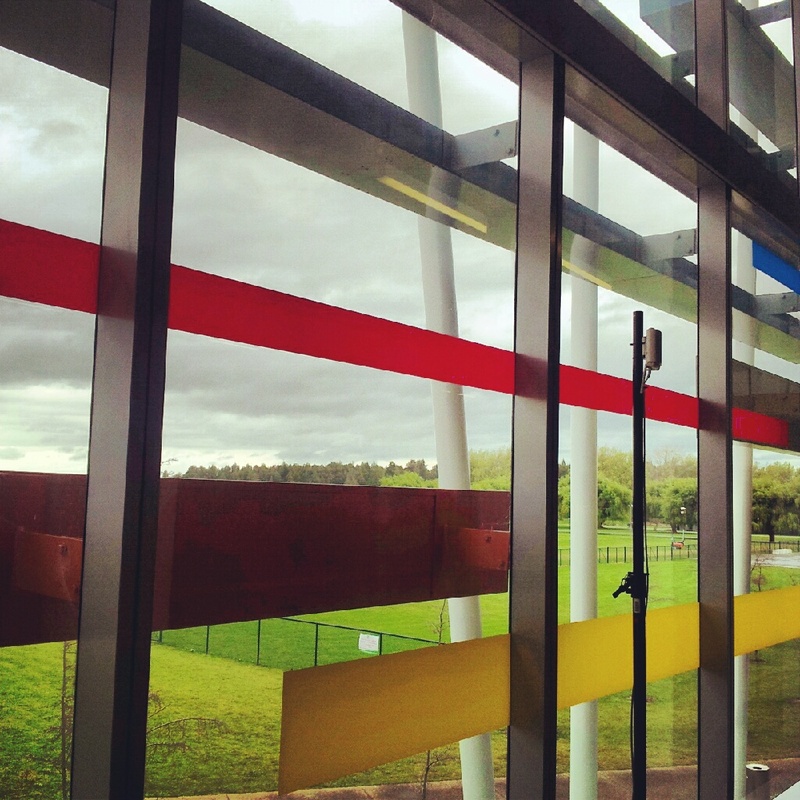 We are all starting to get the message that PEDAGOGY has to drive the tools we use and not the other way round. 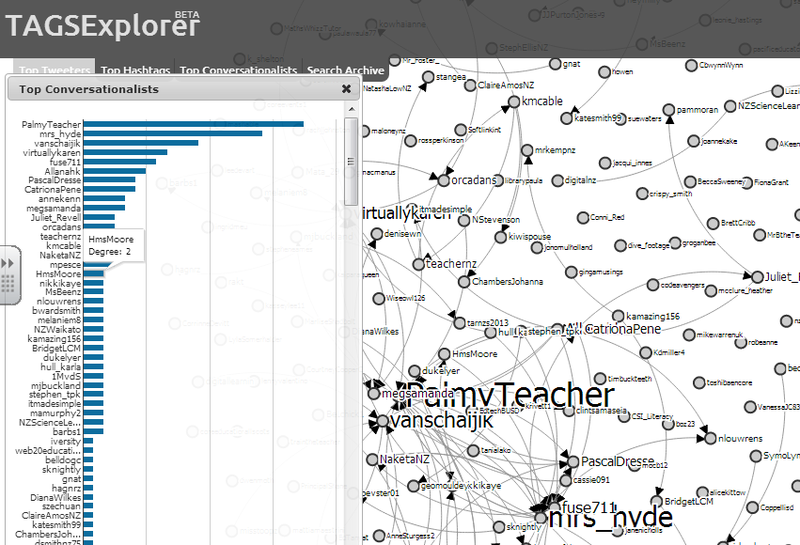 @Mrs_Hyde created this Storify from the Tweets and I created another map of the tweets and conversations using TagsExplorer to chart the tweets and the conversations. 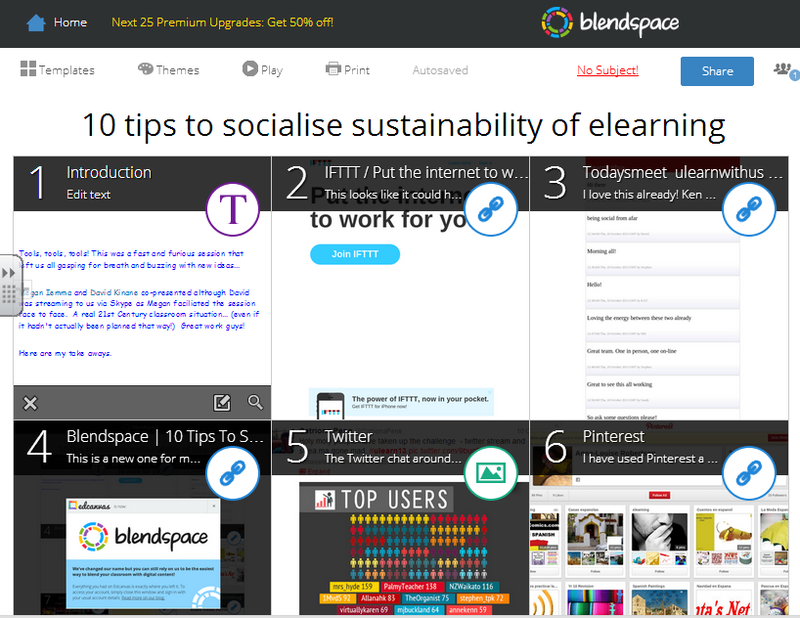 Thanks @MissDSciTeacher for getting the ball rolling – edchatnz even gets a mention in the latest edition of the Education Review in an article “10 Twitter tips for Teachers“. An interesting and brief exploration of the perceived benefits and disadvantages of MOOCs. I originally found the French article above which was a simplified translation of this infographic.